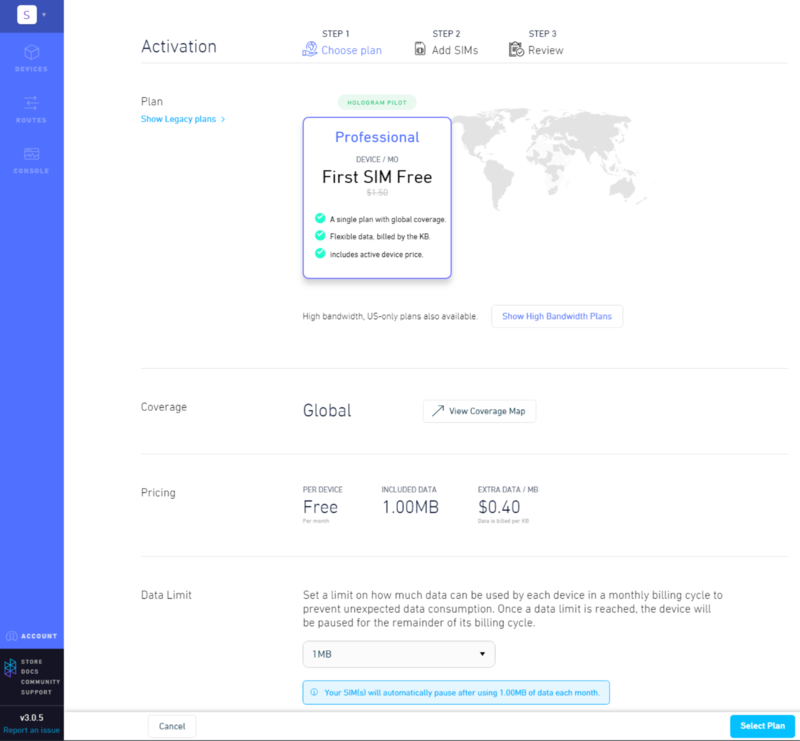 This Getting Connected guide will walk through the steps to activate a Hologram Global IoT SIM, configure your cellular hardware, and connect to the Hologram global network to send data over the internet from your devices. Your cellular IoT device - Hologram Global IoT SIMs are designed hardware-agnostic to work with any unlocked cellular hardware in every country in the world. 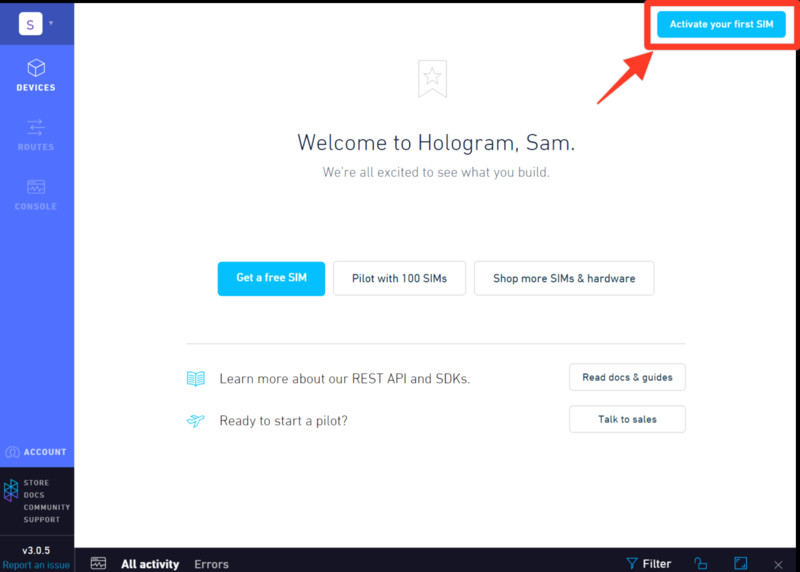 For more information, take a look at [this guide] (https://hologram.io/connecting-3rd-party-hardware-to-the-hologram-network/) that goes over the basic steps needed to get your hardware setup with the Hologram SIM. Device APN configuration instructions - In order to connect to the Hologram Network, you will need to set the Access Point Name (APN) on your devices. The APN allows your device to properly set up a connection to the gateway between Hologram and the Internet. In many devices this is set via SMS, firmware, or other configuration interface. Credit Card - Monthly active device and data charges are paid with a Hologram account balance which can be filled via any major credit card. Hologram Pilot SIMs only require a credit card for shipping and any data usage over the included 1MB each month. If you haven’t already, create a Hologram account to manage your devices and billing and then login to your new account. If this your first SIM activation, you’ll be prompted to select an Edition: Maker, Professional, or Enterprise to move forward. 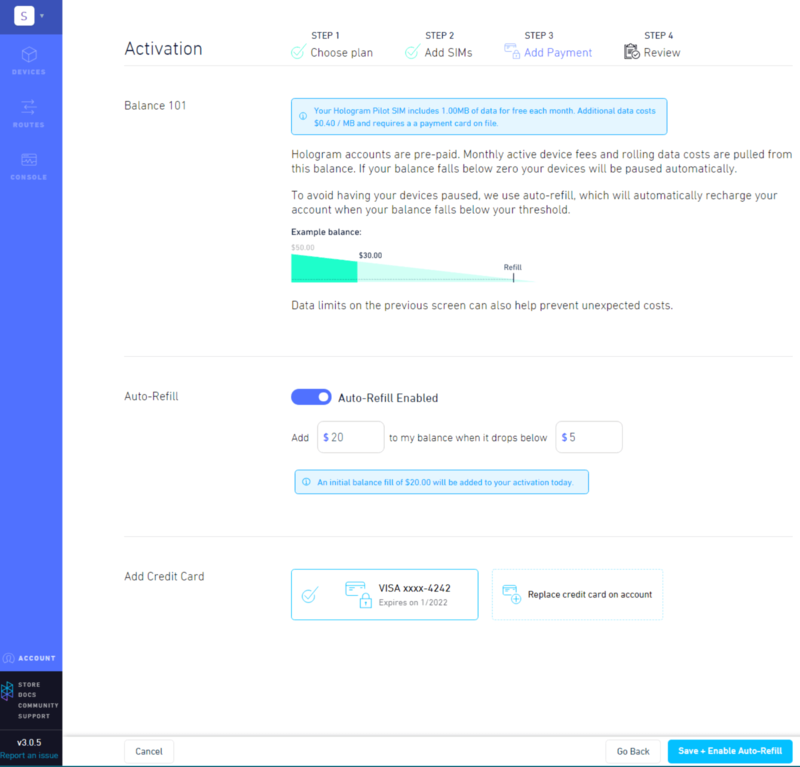 This will determine which plans and features are available your connected devices. 2) Next you will need to select a plan. Here you can choose between the standard Flexible Data plan for your edition, high bandwidth plans, or enterprise plans if your organization has custom pricing available from the sales team. This page will also let you set data limits to prevent unexpcted data usage on your devices. 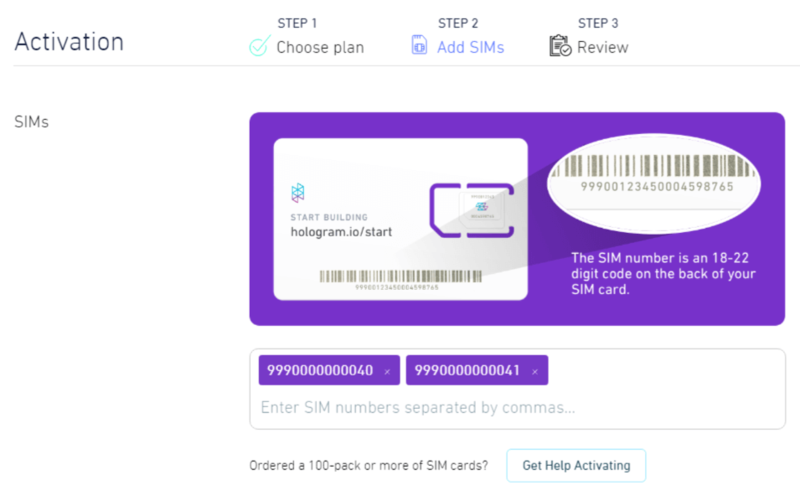 3) Once you have selected your plan you will need to enter the SIM numbers of the Hologram SIM cards you’d like to activate. Note that you can bulk activate SIMs by entering multiple numbers separated by commas. 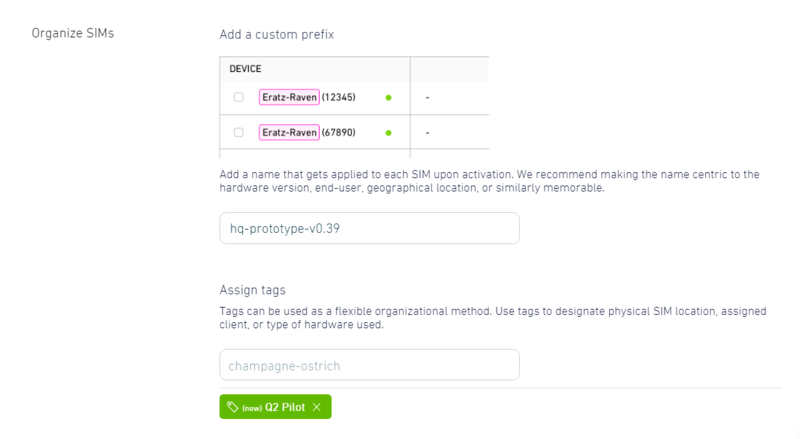 On this screen you will also be given the option to add custom name prefixes to your devices and assign tags for organization. 4) Determine your payment method. This is also where you are given the option to enable Auto-Refill which we highly recommend. Auto-refill will automatically add to your account balance to prevent any unnecessary pausing of device connectivity due to insufficient funds as devices on your organization renew each month and use cellular data. 5) Finally, you will be taken to the Review step where all the information will be summarized. Hit the “Activate N SIM(s)” button and the activation process will be complete. With your device powered off, insert the Hologram Global SIM Card into your device and power your device back on. Then, all you need to do is configure your device to use Hologram’s Access Point Name (APN) to load the proper configuration. Consult your device’s documentation on how to configure the APN. The APN allows your device to properly set up a connection to the gateway between Hologram and the Internet. In many devices this is set via SMS, firmware, or other configuration interface. With your Hologram SIM activated and APN set on your device, your device is now ready to connect to the Hologram network. You should now be able to power your device and send cellular internet data from your device. On Professional Edition devices, devices connected in active data sessions will shift from ‘Live’ green to ‘Connected’ blue state indicators on the Hologram dashboard. 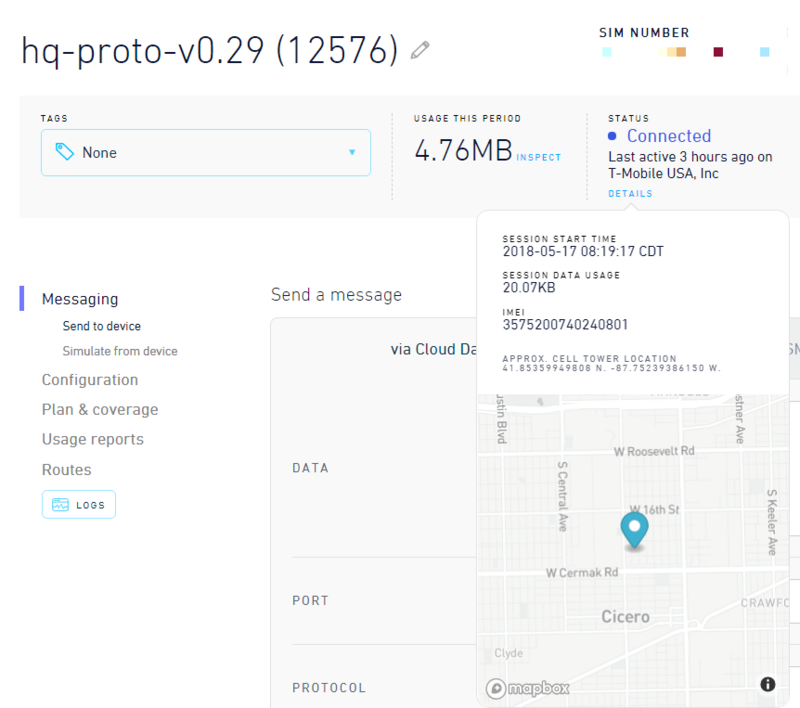 If your device requires an IoT messaging protocol for sending data to and from the field, you may want to explore options for communication protocols through our Hologram Data Engine Our Data Router is a great option for routing data from your device to other internet applications.